As another Alaska winter comes to an end, wildlife experts are making predictions for when and where — and how many — animal babies will show up around our towns and cities. Bear mamas are beginning to come out of their dens with this year’s crop of cubs. 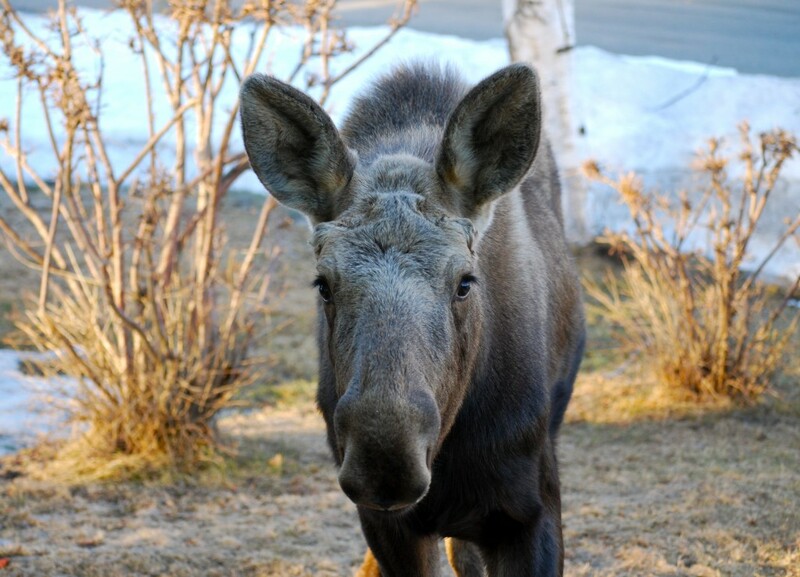 Moose will be giving birth in our backyards within the next month or two, and I heard from my friends in Palmer that the annual “baby watch” pool is now in effect at the Williams Reindeer Farm. We all love babies, human or otherwise, because nothing is quite so cute as the little pug nose of a bear cub, or the gangly legs of a moose calf. Alaska kids know, of course, to stay far away from animal babies and their mothers, but the tug of adorableness is sometimes too much. Fortunately, many Alaska organizations rescue babies whose mothers have abandoned them, or manage animals who give birth on-site at their facility. Learning more about animal babies gives kids a chance to learn the differences and similarities between moms and kids of any species, and the skills to protect these creatures in the future. 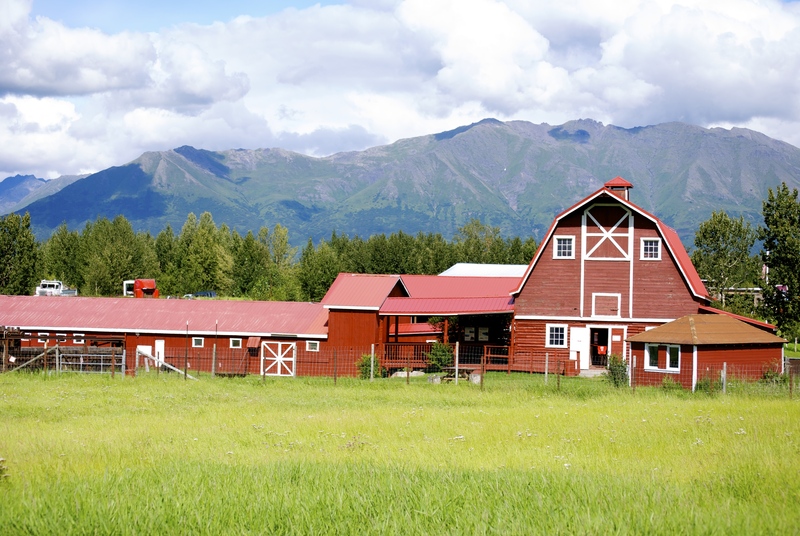 Stay calm and quiet, whether you’re in the wild or visiting a facility like the Alaska Zoo or Wildlife Conservation Center. Mamas don’t like lots of noise and commotion as it causes their stress level to go up, sort of like your mom. So encourage other kids around you to whisper and move slowly and carefully. If you are in the wild and see a baby animal, don’t ever, ever go up to it. The mother will be close by and act in a very protective way. Leave the family alone to feed or rest in peace. Where can you go to see young animals in captivity? Alaska Wildlife Conservation Center, Portage. 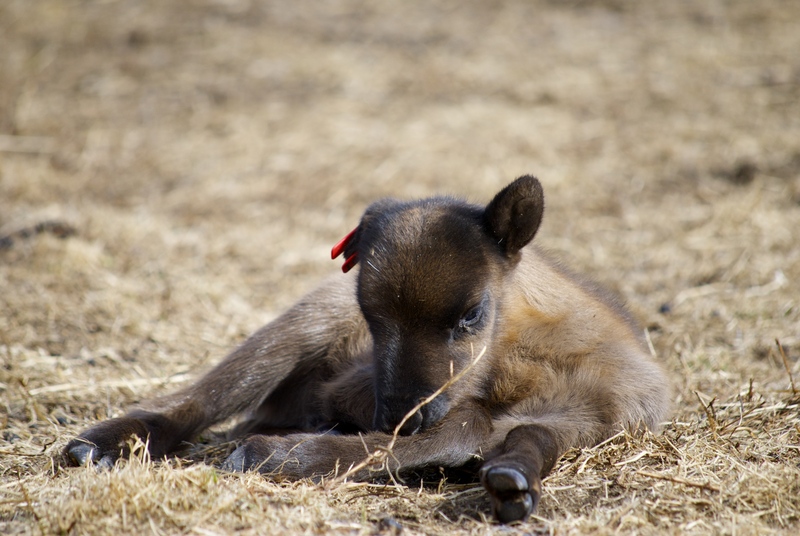 From Wood bison calves to rescued moose babies, AWCC is a great place to take your parents and friends. A hint: walk around the grounds and see the animals up close rather than traveling in a car. 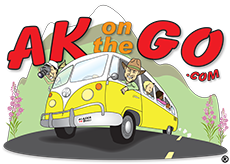 Be sure to walk the entire property, too, including the viewing decks near Turnagain Arm. Musk Ox Farm, Palmer. Oh my, there is nothing quite like a musk ox calf. Short and squatty, with the softest hair I’ve ever felt, musk ox babies begin showing up in late April and early May, and visitors can view them on a tour. The farm usually opens on Mother’s Day weekend, and it’s a great place to pack a picnic and take mom for a day of great scenery, too. Alaska Zoo, Anchorage. Sometimes, bear cubs, moose calves, or in one case, a pack of wolf pups are rescued by people and need a temporary home. The Alaska Zoo often takes in these orphans until a permanent place can be found. Working hard with veterinarians, keepers, and other facilities around the country, the Alaska Zoo cares for these little ones, offering viewing hours in a carefully-created schedule so as not to stress the babies. 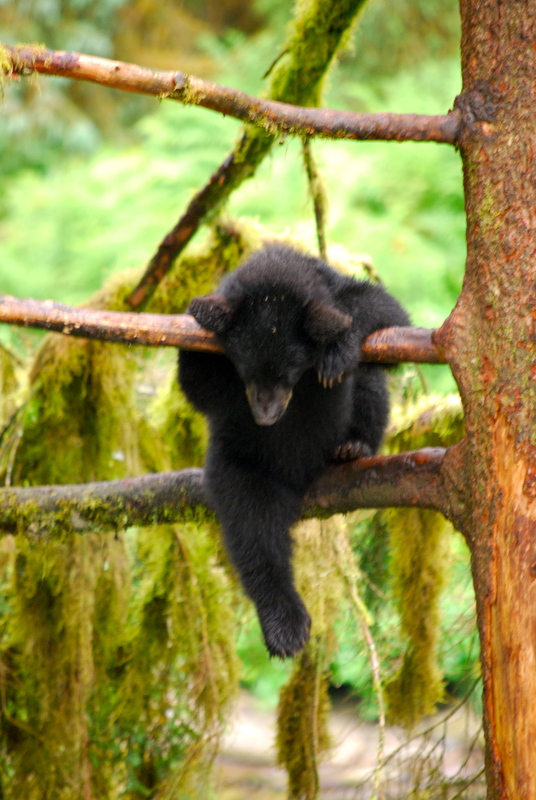 Have you seen bear cubs at the Alaska Zoo? Williams Reindeer Farm, Palmer. 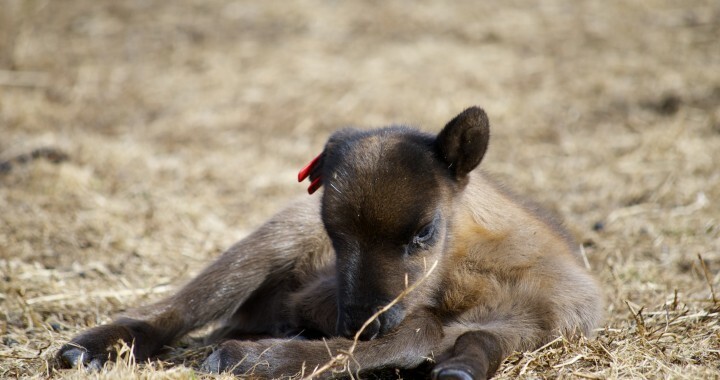 Calves at the Reindeer Farm will be showing up soon, some weighing as little as six pounds. All legs and eyes, they are pretty cute and very vulnerable, so the farm carefully weighs, tags, and medicates babies as soon as possible after birth to protect them against predators and disease as best they can. Sometimes they let me help. The facility will be closed during the month of April to get through the delicate time of calving, but rest assured, the reindeer families will be ready for you in May. Large Animal Research Station (LARS), Fairbanks. This is a research facility on the University of Alaska Fairbanks campus, and visitors can take a tour with guides who share the facts and current projects dedicated to the preservation and interesting habits of musk ox and caribou. It’s pretty cool. Running Reindeer Ranch, Fairbanks. Go here, even if the babies aren’t showing up, yet. Learn about reindeer while standing right next to them and walking with them through the forest. And when babies are there? Oh-lah-lah. Adorable. Remember to wear appropriate footwear while visiting any of these facilities. Rubber boots are the best to guard against muddy, sometimes-poopy walkways and trails. 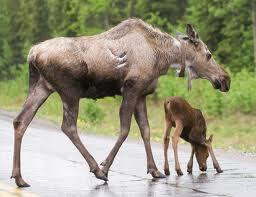 Posted in Kids' Corner and tagged Alaska, Alaska Wildlife, Alaska with Kids, animal babies, Family Travel.